Welcome to Shoreline Gardens! 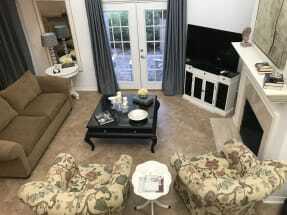 Here at Emerald Coast by Owner we are proud to be your premiere vacation rental service for the area, offering you a variety of properties all consisting of similar pleasurable features. Shoreline Gardens is a community of luxurious properties right along the coast of Holiday Isle in Destin, Florida. If the beach, location and view isn't enough, take full advantage of the community pool! If that still isn't enough, go down to the beach and around the area so you can have fun with all the local attractions and activities! Some common things to do around here are go parasailing, boat tourism, golfing, deep sea fishing, paddle boarding, swimming, sand volleyball and so much more! When it comes to food, you can shop at any of the local grocers or go out to eat and enjoy an excellent meal! The variety of delicious seafood spots around here will blow you away, especially the consistent amazing tastes! A few spots we recommend you try are Bud & Alley's Restaurant, Copper Grill and CRUSH Wine Bar, you won't regret a meal at any of these delicious eateries. Bud & Alley's is a 5 star restaurant with Tuscan and Coastal South cooking styles. Copper Grill is 'Destin's Trendiest' steakhouse and seafood restaurant. Lastly, CRUSH Wine Bar is a delicious spot for excellent food, this is a new hot restaurant people love! Emerald Coast by Owner is pleased to offer vacation rental properties in the beautiful Shoreline Gardens. Click here now to view our different listings! When you book with Emerald Coast by Owner, we make it easy for you to choose where, when, and what you want to do on your trip. Contact us with any questions!